This essay situates game design and development within the domain of sociotechnical research and reviews the results of a case focusing on the design and development of an original video game level with platformer mechanics. 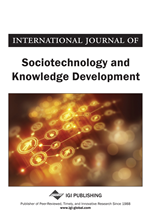 Using a case history methodology with autoethnographic methods, the work studies the context in which small game components are authored and methods by which knowledge is exchanged and applied within rapidly developed software systems. It argues that the designer experience is a critical phenomenon to understand within the study of user experience in video games given the iterative nature of development and the necessity of frequent, in-house playtesting. The video game was designed by the authors and developed using preexisting assets from prior projects. Results suggest ideas for incorporating UX strategies into micro-project management techniques that are useful for small and large projects alike. The work closes by calling for future areas of research in related areas. Recent research highlights the importance of gamification for UX and considers how users are persuaded through psychological, physiological, and cultural design tactics (Luoto et al., 2014). However, relatively little is known about the underlying project management techniques from which these tactics are invented and shaped. This is particularly true in experimental video games that are designed by small teams, often with small budgets, for particular types of knowledge exchange. What are the rhythms of project management in game development, and how do those rhythms influence the cues provided to players? To answer such questions, the designer experience can lend insight to our understanding of the user experience, particularly in helping us to understand designers’ values and the resulting design decisions based on those values. Indeed, since playtesting is such a critical part of designing and developing games (Fullerton, 2008; Salen & Zimmerman, 2004), the original user experience of any game is often a design team’s user experience while playing through iterations of that game during development. In the entertainment industry, the development of video games is a complicated affair. Modern “AAA” titles, or those games published by major publishers such as Nintendo, Ubisoft, and Electronic Arts, are developed by large teams with multimillion dollar budgets. Integrating structured and standardized processes to manage such projects is critical for the development of these complex software programs. Further complicating matters is the fact that such titles are designed by employees from diverse professional backgrounds (e.g., art, production, and programming). Many of these employees work in hybrid teams responsible for different parts of the overall game, each part adding to the game as a dynamic system of interrelated components (Hunicke, LeBlanc, & Zubek, 2004). Within this type of chaotic design environment, traditional techniques for managing complex projects, such as requirements engineering, can support video game development (Callele, Neufeld, & Schneider, 2005). Because games are so specialized, however, we cannot accurately identify one single approach that is universally used by game development companies. While agile development using the Scrum methodology (Keith, 2010), is one of the most popular approaches, it is far from universally adopted and has a number of shortcomings and associated complexities (Miller, 2008). How, then, can we learn more about other methods that have proven fruitful? One approach to gaining this specialized knowledge is interviewing past game development teams or reading postmortem reports, learning from various studios’ successes and failures in managing their teams and deliverables. Unfortunately, acquiring access to teams of commercial video game designers is quite challenging (McDaniel, 2015) and postmortem reports are not always readily accessible to those outside the games industry. Of course, even if such access were possible and such materials were abundantly available, their usefulness would be limited. Large development teams are likely to use processes that work for their large teams and their specific type of game. Chandler (2010) agrees, noting that the processes that a development team implements need to be customized for a particular project; they should depend on the type of game, the constraints, and the available resources. It follows that video games and UX researchers can learn best from prior works by considering the project management of video games that most closely resemble their own interactive projects.